1 What is Widget:Google Spreadsheet? 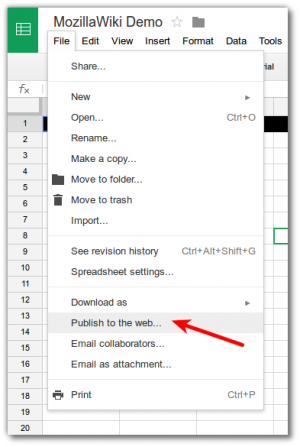 The Google Spreadsheet widget allows you to add Google Spreadsheets to your articles on MozillaWiki. key: Key (id) of the document you want to embed. 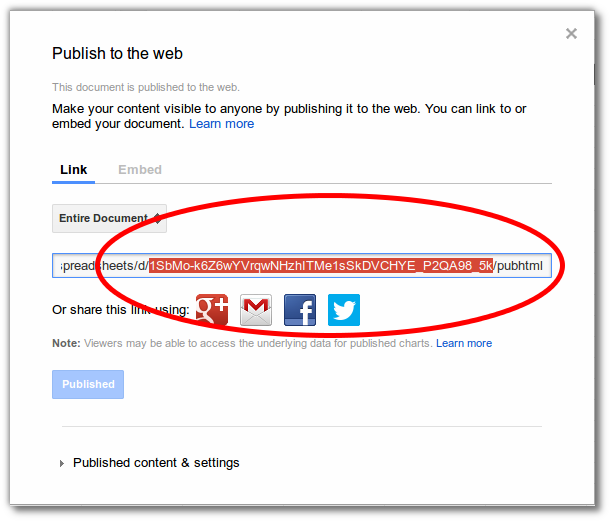 You can get this from the url of your Google Spreadsheet. Required. width and height: These define spreadsheet dimensions, in pixels. 500x300 is default. In order for the spreadsheet to be visible to all users of the wiki, you'll need to set permissions accordingly on the Google spreadsheet that you want to share. Step 2: You will see the Publish to the web dialog. 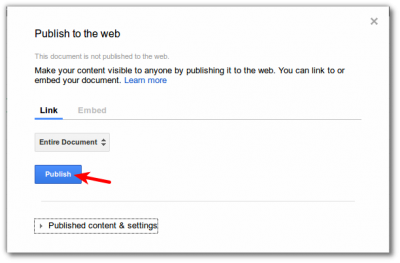 Change any settings you like and then click Publish button. This page was last modified on 30 January 2015, at 05:12.